Hi folks, Kate here. I’m the new co-ordinator for this year’s festival and as a long time patron of the festival I’m pretty excited about what we are creating this year! Last year the festival saw 2000 people in attendance so this year we’re chatting with Brisbane City Council about expanding beyond this number for a bigger and better festival! More talks, more workshops, more entertainment, more food and more fun! So here is the latest news and some exciting announcements! I’m super excited to announce that OKA will be dancing us into the evening with their didge and chilled beats after the bonfire. We also have troubadour and very talented songwriter Murray Kyle singing us up to the bonfire and Winter Solstice ceremony where we celebrate the longest night of the year and the return of the light. We will have some great acts singing us through the afternoon so bring your picnic blanket or camping chairs so you can kick back and enjoy the music on the green! This year we are planning to showcase a Zero Waste event! This is exciting and also a little challenging because we won’t be using any single use plastic disposable. So heads up – you’ll need to bring your own cup / plate / bowl / cutlery (perhaps your fave from your camping kit?) 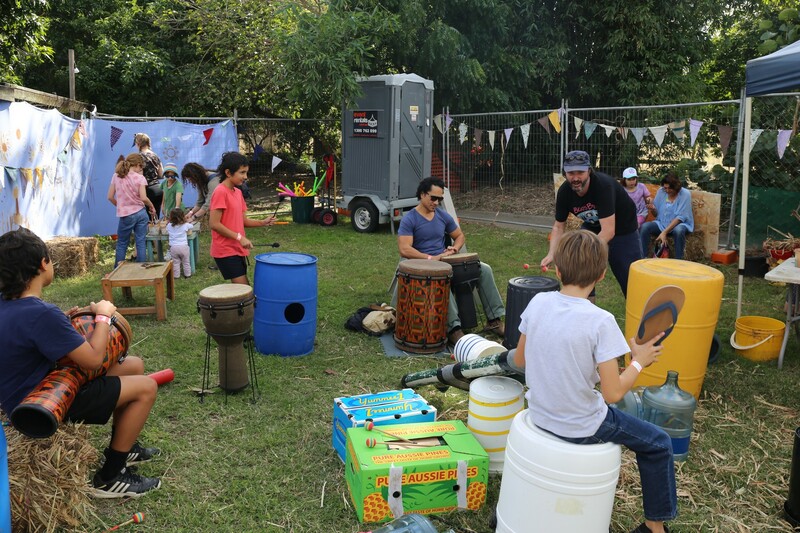 and if you forget, or you’re travelling light, there will be crockery available to hire for a gold coin contribution and we will likely also have some awesome sustainable products available for purchase if you want to buy your kit for the next festival! It’s pretty exciting to think our footprint could be so minimised for a festival that attracts 2000 people each winter and potentially more this year! 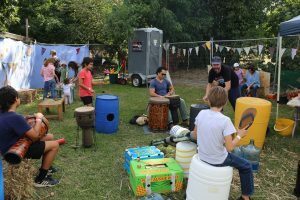 We are working with Renew Fest in Mullumbimby who has successfully run zero waste events in the past. I reckon this might be the first large festival of its kind in Brisbane. We’re so pleased to co-create it with you! We have also partnered up with Byron Spirit Festival which runs from the 20th -22nd April 2018. It means that if you’re thinking about heading down you can use the code ‘NSCF18’ when you purchase your ticket you’ll get 10% off! 5% of your ticket cost will also go to their partner charity ‘A Sound Life’ providing yoga, singing, meditation to underprivileged people. 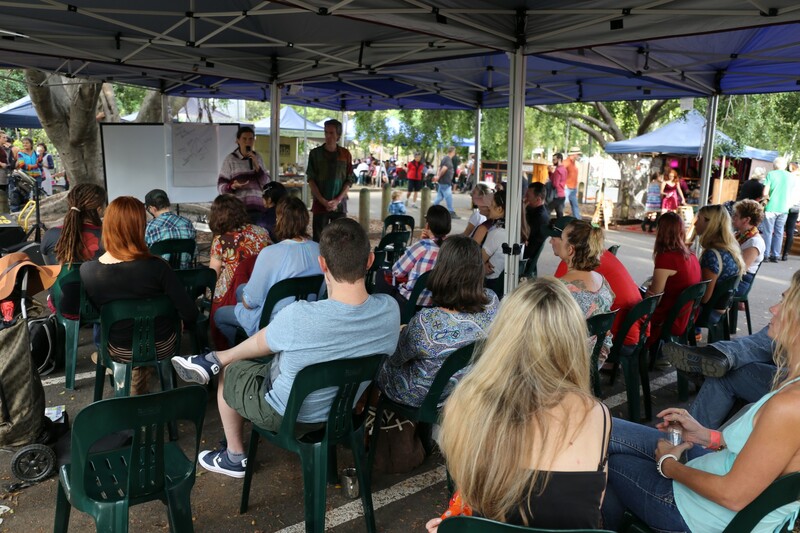 As well as a fabulous entertainment line up, our education program this year will see talks and workshops happening in three different tents throughout the afternoon in theme with the three ethics of Permaculture, which are: Earth Care; People Care and Fair Share. We are planning to bring you first-class educators and presenters in their fields of expertise to share their knowledge with you. As a yogini & musician I’m looking to introduce a new space for our People Care venue, for some extra wellbeing workshops and there will be something for everyone. Our kids program is always really popular, so we are gathering together a mix of old favourites and newcomers to inspire, educate and entertain your children. We will also build on the success of last years teens program with activities specifically targeted to their unique interests and learning styles. We always aim to provide something for everyone in the family, so you can all come along and enjoy the Winter Solstice together. 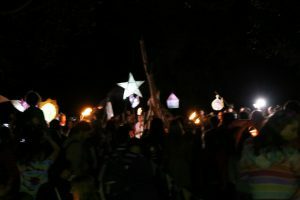 We’d love you to join the tribe on Facebook, so we can keep you up-to-date with our full program as we release it in the lead up to the Winter Solstice Festival….. jump on over here and give us the big thumbs up! Would you like to be part of the crew that make the festival happen? The festival just wouldn’t happen without the involvement of many volunteers so we’d love you to join us in the lead up and/or set up of the festival, or on the day! A commitment of just 3 hours of your time will earn you free entry to the event and a meal in exchange, making this great event accessible to everyone. Lets chat about what you can contribute. The possibilities are endless and include helping with marketing, putting up fencing and marquees prior to the event, stage management, security, signage, child care (blue card required), or parking attendant on the day. We need a wide range of people and skills, so get in touch and we’ll find a job perfect for you! We look forward to hearing from you and to co-creating this wonderful event for our community with you. This year we are looking at road closures to include the other half of the farm in the festival area and it looks like the costs for traffic controllers could be significant. So we’d love to hear from any Traffic Controllers who are willing to volunteer or offer us a good ‘not for profit’ organisation discount. I’m also looking for a personal assistant or apprentice, so if you’d like to learn how to run events I’ll show you the ropes in exchange for a few hours a week of your time. I’d love to hear from you! As is our tradition at Northey Street City Farm this is a grass roots community event so we are keeping ticket prices low. This year we are offering early-bird (closing 30 April 2018)and pre-sale discounts, and tix for adults start as low as $20, and gate tix are $30. Great discounts for families and kids are available too! You can rest easy knowing that money raised will go towards covering the costs of the event and continue to fund the farm and all the great work it does for our Brisbane community.